I was walking down the street the other day and I hocked a loogie. I was phlegmy and feeling under the weather and I had to spit. It happens. It happens all the time. It happens so much that I realized that almost every square inch of the sidewalk must have been spat on at some point. 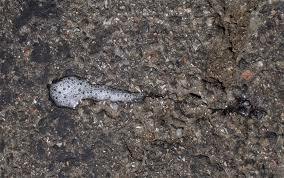 In fact, there probably are trace remnants of evaporated spit upon every paved spot on this earth. Everywhere there is concrete, there is evaporated spit or some other bodily fluid. It’s a bit unnerving but you know it’s true. Try not to fall on the ground and you should be fine.